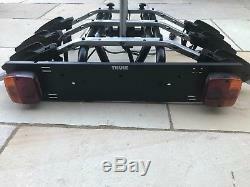 Thule 9503 3 bike cycle carrier. 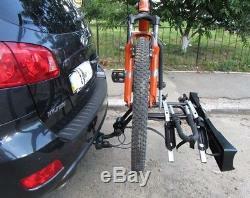 Attaches to a vehicle tow bar ball hitch. 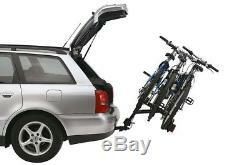 Pivots/tilts to allow access to the tailgate/boot/trunk while bikes are being carried. 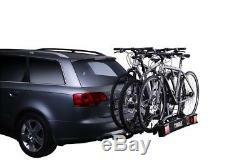 Easy to use - place over the ball hitch, secure in place by turning the provided bolt and plug in the electric socket. 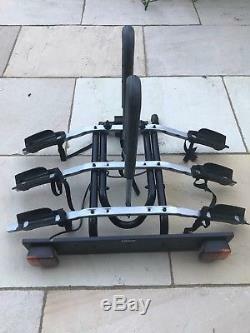 Up to three bikes can be carried, Bikes are kept in place by soft Velcro straps through each wheel and round the frame. 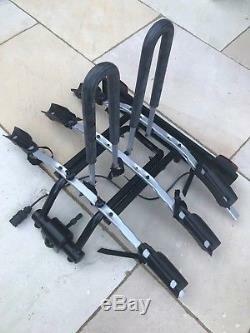 Upright supports fold flat for storage. 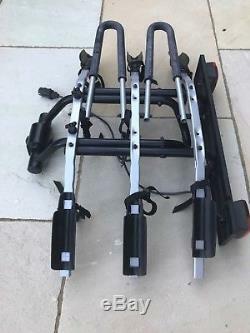 Rack is approximately 8 years old but has had little use. 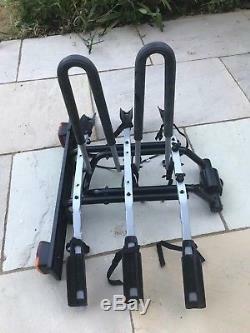 The three images showing the rack in place are generic, taken from the web to show its use, as we no longer have a vehicle with a tow ball, and so do not show the exact rack being auctioned. 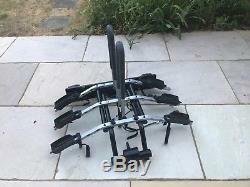 The remaining images show the rack that is being auctioned. 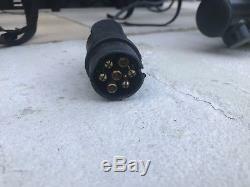 Collection only from Wallington, South London SM6.